Structural functionalism, or simply functionalism, is "a framework for building theory that sees society as a complex system whose parts work together to promote solidarity and stability". This approach looks at society through a macro-level orientation, which is a broad focus on the social structures that shape society as a whole, and believes that society has evolved like organisms. This approach looks at both social structure and social functions. Functionalism addresses society as a whole in terms of the function of its constituent elements; namely norms, customs, traditions, and institutions. In sociology, a social system is the patterned network of relationships constituting a coherent whole that exist between individuals, groups, and institutions. It is the formal structure of role and status that can form in a small, stable group. An individual may belong to multiple social systems at once; examples of social systems include nuclear family units, communities, cities, nations, college campuses, corporations, and industries. The organization and definition of groups within a social system depend on various shared characteristics such as location, socioeconomic status, race, religion, societal function, or other distinguishable features. The American Sociological Association (ASA), founded in 1905 as the American Sociological Society, is a non-profit organization dedicated to advancing the discipline and profession of sociology. Most members work in academia, but about 20% work in government, business, or non-profit organizations. He was born on December 13, 1902, in Colorado Springs, Colorado. He was the son of Edward Smith Parsons (1863–1943) and Mary Augusta Ingersoll (1863–1949). His father had attended Yale Divinity School, was ordained as a Congregationalist minister, and served first as a minister for a pioneer community in Greeley, Colorado. At the time of Parsons' birth, his father was a professor in English and vice-president at Colorado College. During his Congregational ministry in Greeley, Edward had become sympathetic to the Social Gospel movement but tended to view it from a higher theological position and was hostile to the ideology of socialism. Also, both he and Talcott would be familiar with the theology of Jonathan Edwards. The father would later become the president of Marietta College in Ohio. Parsons' family is one of the oldest families in American history. His ancestors were some of the first to arrive from England in the first half of the 17th century. The family's heritage had two separate and independently-developed Parsons lines, both to the early days of American history deeper into British history. On his father's side, the family could be traced back to the Parsons of York, Maine. Two term papers that Parsons wrote as a student for Clarence E. Ayres's class in Philosophy III at Amherst have survived. They are referred to as the Amherst Papers and have been of strong interest to Parsons scholars. The first was written on December 19, 1922, "The Theory of Human Behavior in its Individual and Social Aspects." The second was written on March 27, 1923, "A Behavioristic Conception of the Nature of Morals". The papers reveal Parsons' early interest in social evolution. The Amherst Papers also reveal that Parsons did not agree with his professors since he wrote in his Amherst papers that technological development and moral progress are two structurally-independent empirical processes. In June, Parsons went on to the University of Heidelberg, where he received his PhD in sociology and economics in 1927. At Heidelberg, he worked with Alfred Weber, Max Weber's brother; Edgar Salin [ de ], his dissertation adviser; Emil Lederer; and Karl Mannheim. He was examined on Kant's "Critique of Pure Reason" by the philosopher Karl Jaspers. At Heidelberg, Parsons was also examined by Willy Andreas on the French Revolution. Parsons wrote his Dr. Phil. thesis on The Concept of Capitalism in the Recent German Literature, with his main focus on the work of Werner Sombart and Weber. It was clear from his discussion that he rejected Sombart's quasi-idealistic views and supported Weber's attempt to strike a balance between historicism, idealism and neo-Kantism. Parsons decided to translate Weber's work into English and approached Marianne Weber, Weber's widow. Parsons would eventually translate several of Weber's works to English. His time in Heidelberg had him invited by Marianne Weber to "sociological teas", which were study group meetings that she held in the library room of her and Max's old apartment. One scholar that Parsons met at Heidelberg who shared his enthusiasm for Weber was Alexander von Schelting. Parsons later wrote a review article on von Schelting's book on Weber. Generally, Parsons read extensively in religious literature, especially works focusing on the sociology of religion. One scholar who became especially important for Parsons was Ernst D. Troeltsch (1865–1923). Parsons also read widely on Calvinism. His reading included the work of Emile Doumerque,  Eugéne Choisy, and Henri Hauser. In 1927, after a year of teaching at Amherst (1926–1927), Parsons entered Harvard, as an instructor in the Economics Department,  where he followed F. W. Taussig's lectures on tags economist Alfred Marshall and became friends with the economist historian Edwin Gay, the founder of Harvard Business School. Parsons also became a close associate of Joseph Schumpeter and followed his course General Economics. Parsons was generally at odds with some of the trends in Harvard's department which then went in a highly-technical and a mathematical direction. Parsons looked for other options at Harvard and gave courses in "Social Ethics" and in the "Sociology of Religion". Although Parsons entered Harvard through the Economics Department, he never wanted to be an economist. All of his activities and his basic intellectual interest propelled him toward sociology, but no Sociology Department existed in his first years at Harvard. 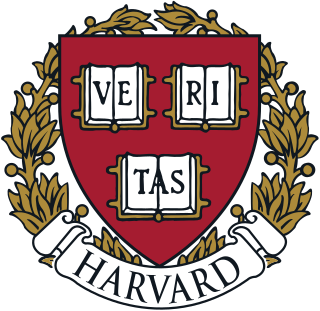 However, Harvard was working toward establishing one and Parsons prepared in various ways in writing and teaching obligations so he was ready to join it when it was finally established. Despite oral tradition, Parsons was never "forced" out of the Economics Department, but his exit was voluntary and deliberate. The chance for a shift to sociology came in 1930, when Harvard's first Sociology Department was created  under Russian scholar Pitirim Sorokin. Sorokin, who had fled the Russian Revolution from Russia to the United States in 1923, was given the opportunity to establish the department. Parsons became one of the new department's two instructors, along with Carl Joslyn. Parsons established close ties with biochemist and sociologist Lawrence Joseph Henderson, who took personal interest in Parsons' career at Harvard. Parsons became part of L. J. Henderson's famous Pareto study group in which some of the most important intellectuals at Harvard participated, including Crane Brinton, George C. Homans, and Charles P. Curtis. Parsons wrote an article on Pareto's theory  and later explained that he had adopted the concept of "social system" from reading Pareto. Parsons also made strong connections with two other influential intellectuals with whom he corresponded for years: economist Frank H. Knight and Chester Barnard, one of the most dynamic businessmen of the US. The relationship between Parsons and Sorokin quickly ran sour. A pattern of personal tensions was aggravated by Sorokin's deep dislike for American civilization, which he regarded as a sensate culture that was in decline. Sorokin's writings became increasingly anti-scientistic in his later years, widening the gulf between his work and Parsons' and turning the increasingly positivisitic American sociology community against him. Sorokin also tended to belittle all sociology tendencies that differed from his own writings, and by 1934, Sorokin was quite unpopular at Harvard. In the academic year of 1939–1940 Parsons and Schumpeter conducted an informal faculty seminar at Harvard, which met in Emerson Hall and discussed the concept of rationality. Among the participants in the seminary were D. V. McGranahan, Abram Bergson, Wassily Leontief, Gottfried Haberler, and Paul Sweezy. Schumpeter contributed with the essay "Rationality in Economics" to the seminar, and Parsons submitted the paper "The Role of Rationality in Social Action" for a general discussion. Schumpeter suggested to Parsons that they should write or edit a book together on rationality, but the project never materialized. In the spring of 1941, a discussion group on Japan began to meet at Harvard. The group's five core members were Parsons, John K. Fairbank, Edwin O. Reischauer, William M. McGovern, and Marion Levy Jr. A few others would also occasionally join the group, including Ai-Li Sung (also known as Ai-Li Sung Chin) and Edward Y. Hartshorne. The group rose out of a strong desire to understand the country whose power in the East had grown tremendously and had allied itself with Germany), but as Levy frankly admitted, "Reischauer was the only one who knew anything about Japan." Parsons, however, was eager to learn more about it and was "concerned with general implications." In 1942, Parsons worked on arranging a major study of occupied countries with Bartholomew Landheer of the Netherlands Information Office in New York. Parsons had mobilized Georges Gurvitch, Conrad Arnsberg, Dr. Safranek and Theodore Abel to participate,  but it never materialized for lack of funding. In early 1942, Parsons unsuccessfully approached Hartshorne, who had joined the Psychology Division of the Office of the Coordinator of Information (COI) in Washington to interest his agency in the research project. In February 1943, Parsons became the deputy director of Harvard School of Overseas Administration, which educated administrators to "run" the occupied territories in Germany and the Pacific Ocean. The task of finding relevant literature on both Europe and Asia was mindboggling and occupied a fair amount of Parsons' time. One scholar Parsons came to know was Karl August Wittfogel and discussed Weber. On China, Parsons received fundamental information from Chinese scholar Ai-Li Sung Chin and her husband, Robert Chin. Another Chinese scholar Parsons worked closely with there period was Hsiao-Tung Fei (or Fei Xiaotong) (1910–2005), who had studied at the London School of Economics and was an expert on the social structure of the Chinese village. Between 1940 and 1944, Parsons and Eric Voegelin (or Vögelin) (1901–1985) exchanged their intellectual views through correspondence. Parsons had probably met Voegelin in 1938 and 1939, when Voegelin held a temporary instructor appointment at Harvard. The bouncing point for their conversation was Parsons' manuscript on anti-Semitism and other materials that he had sent to Voegelin. Discussion touched on the nature of capitalism, the rise of the West, and the origin of Nazism. The key to the discussion was the implication of Weber's interpretation of Protestant ethics and the impact of Calvinism on modern history. Although the two scholars agreed on many fundamental characteristics about Calvinism, their understanding of its historical impact was quite different. 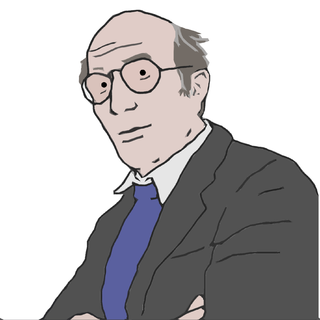 Generally, Voegelin regarded Calvinism as essentially a dangerous totalitarian ideology; Parsons argued that its current features were temporary and that the functional implications of its long-term, emerging value-l system had revolutionary and not only "negative" impact on the general rise of the institutions of modernity. In 1942, Stuart C. Dodd published a major work, Dimensions of society,  which attempted to build a general theory of society on the foundation of a mathematical and quantitative systematization of social sciences. Dodd advanced a particular approach, known as a "S-theory". Parsons discussed Dodd's theoretical outline in a review article the same year. Parsons acknowledged Dodd's contribution to be an exceedingly formidable work but argued against its premises as a general paradigm for the social sciences. Parsons generally argued that Dodd's "S-theory", which included the so-called "social distance" scheme of Bogardus, was unable to construct a sufficiently sensitive and systematized theoretical matrix, compared with the "traditional" approach, which has developed around the lines of Weber, Pareto, Émile Durkheim, Sigmund Freud, William Isaac Thomas, and other important agents of an action-system approach with a more clear dialogue with the cultural and motivational dimensions of human interaction. Parsons' situation at Harvard University changed significantly in early 1944, when he received a good offer from Northwestern University. Harvard reacted to the offer from Northwestern by appointing Parsons as the chairman of the department, promoting him to the rank of full professor and accepting the process of reorganization, which could lead to the establishment of the new department of Social Relations. Parsons' letter to Dean Paul Buck, on April 3, 1944, reveals the high point of this moment. Because of the new development at Harvard, Parsons chose to decline an offer from William Langer to join the Office of Strategic Services, the predecessor of the Central Intelligence Agency. Langer proposed for Parsons to follow the American army in its march into Germany and to function as a political adviser to the administration of the occupied territories. Late in 1944, under the auspices of the Cambridge Community Council, Parsons directed a project together with Elizabeth Schlesinger. They investigated ethnic and racial tensions in the Boston area between students from Radcliffe College and Wellesley College. This study was a reaction to the upsurge of anti-Semicism in the Boston area, which began in late 1943 and continued into 1944. At the end of November 1946, the Social Research Council (SSRC) asked Parsons to write a comprehensive report of the topic of how the social sciences could contribute to the understanding of the modern world. The background was a controversy over whether the social sciences should be incorporated into the National Science Foundation. Therefore, a new kind of nation was born, the character of which became clear by the time of the American Revolution and in the US constitution,  And its dynamics later were studied by Alexis de Tocqueville. The French Revolution was failed attempt to copy the American model. Although America has changed in its social composition since 1787, Parsons maintained that it preserves the basic revolutionary Calvinist value pattern. That has been further revealed in the pluralist and highly individualized America, with its thick, network-oriented civil society, which is of crucial importance to its success and the factors have provided it with its historical lead in the industrialized process. During the late 1940s and the early 1950s, he worked very hard on producing some major theoretical statements. In 1951, Parsons published two major theoretical works, The Social System  and Toward a General Theory of Action. The latter work, which was coauthored with Edward Tolman, Edward Shils and several others, was the outcome of the so-called Carnegie Seminar, which had taken place in the period of September 1949 and January 1950. The former work was Parsons' first major attempt to present his basic outline of a general theory of society since The Structure of Social Action (1937). He discusses the basic methodological and metatheoretical principles for such a theory. He attempts to present a general social system theory that is built systematically from most basic premises and so he featured the idea of an interaction situation based on need-dispositions and facilitated through the basic concepts of cognitive, cathectic, and evaluative orientation. The work also became known for introducing his famous pattern variables, which in reality represented choices distributed along a Gemeinschaft vs. Gesellschaft axis. Parsons carried the idea into the major work that he co-authored with a student, Neil Smelser, which was published in 1956 as Economy and Society. Within this work, the first rudimentary model of the AGIL scheme was presented. It reorganized the basic concepts of the pattern variables in a new way and presented the solution within a system-theoretical approach by using the idea of a cybernetic hierarchy as an organizing principle. The real innovation in the model was the concept of the "latent function" or the pattern maintenance function, which became the crucial key to the whole cybernetic hierarchy. During its theoretical development, Parsons showed a persistent interest in symbolism. An important statement is Parsons' "The theory of symbolism in relation to action." The article was stimulated by a series of informal discussion group meetings, which Parsons and several other colleagues in the spring of 1951 had conducted with philosopher and semiotician Charles W. Morris. His interest in symbolism went hand in hand with his interest in Freud's theory and "The Superego and the Theory of Social Systems," written in May 1951 for a meeting of the American Psychiatric Association. The paper can be regarded as the main statement of his own interpretation of Freud  but also as a statement of how Parsons tried to use Freud's pattern of symbolization to structure the theory of social system and eventually to codify the cybernetic hierarchy of the AGIL system within the parameter of a system of symbolic differentiation. His discussion of Freud also contains several layers of criticism that reveal that Parsons's use of Freud was selective, rather than orthodox. In particular, he claimed that Freud that "introduced an unreal separation between the superego and the ego." Parsons was an early subscriber to systems theory. Parsons had early been fascinated by the writing of Walter B. Cannon and his concept of homeostasis  as well as of the writings of French physiologist Claude Bernard. His interest in systems theory had been further stimulated by his contract with LJ Henderson. Parsons called the concept of "system" for an indispensable master concept in the work of building theoretical paradigms for social sciences. From 1952 to 1957, Parsons participated in an ongoing Conference on System Theory under the chairmanship of Roy R. Grinker, Sr., in Chicago. Parsons immediately wrote an affidavit in defense of Stouffer, and he also defended himself against the charges that were in the affidavit: "This allegation is so preposterous that I cannot understand how any reasonable person could come to the conclusion that I was a member of the Communist Party or ever had been." In a personal letter to Stouffer, Parsons wrote, "I will fight for you against this evil with everything there is in me: I am in it with you to the death." The charges against Parsons resulted in Parsons being unable to participate in a UNESCO conference, and it was not until January 1955 that he was acquitted of the charges. Since the late 1930s, Parsons had continued to show great interest in psychology and in psychoanalysis. In the academic year of 1955–1956, he taught a seminar at Boston Psychoanalytic Society and Institute entitled "Sociology and Psychoanalysis." In 1956, he published a major work, Family, Socialization and Interaction Process,  which explored the way in which psychology and psychoanalysis bounce into the theories of motivation and socialization, as well into the question of kinship, which for Parsons established the fundamental axis for that subsystem he later would call "the social community." It contained articles written by Parsons and articles written in collaboration with Robert F. Bales, James Olds, Morris Zelditch Jr., and Philip E. Slater. The work included a theory of personality as well as studies of role differentiation. The strongest intellectual stimuli that Parsons most likely got then was from brain researcher James Olds, one of the founders of neuroscience and whose 1955 book learning and motivation was strongly influenced from his conversations with Parsons. Some of the ideas in the book had been submitted by Parsons in an intellectual brainstorm in an informal "work group," which he had organized with part of Joseph Berger, William Caudill, Frank E. Jones, Kaspar D. Naegele, Theodore M. Mills, Bengt G. Rundblad, and others. Albert J. Reiss from Vanderbilt University had submitted his critical commentary. Parsons spent 1957 to 1958 at the Center of Advanced Study in the Behavioral Sciences in Palo Alto, California, where he, for the first time in his life, met Kenneth Burke; his flamboyant, explosive temperament made a great impression on Parsons, and they two men became close friends. Parsons explained in a letter the impression Burke had left on him: "The big thing to me is that Burke more than anyone else has helped me to fill a major gap in my own theoretical interests, in the field of the analysis of expressive symbolism." In 1955 to 1956, a group of faculty members at Cornell University met regularly and discussed Parsons' writings. The next academic year, a series of seven widely attended public seminars followed and culminated in a session at which he answered his critics. The discussions in the seminars were summed up in a book edited by Max Black, The Social Theories of Talcott Parsons: A Critical Examination. It included an essay by Parsons, "The Point of View of the Author". The scholars included in the volume were Edward C. Devereux Jr., Robin M. Williams Jr., Chandler Morse, Alfred L. Baldwin, Urie Bronfenbrenner, Henry A. Landsberger, William Foote Whyte, Black, and Andrew Hacker. The contributions converted many angles including personality theory, organizational theory, and various methodological discussions. Parsons' essay is particularly notable because it and another essay, "Pattern Variables Revisited,"  both represented he most full-scale accounts of the basic elements of his theoretical strategy and the general principles behind his approach to theory-building when they were published in 1960. At the same time, Parsons's idea of the individual was seen as "oversocialized", "repressive", or subjugated in normative "conformity". In addition, Jürgen Habermas  and countless others were of the belief that Parsons' systems theory and his action theory were inherently opposed and mutually hostile and that Parsons's system theory was especially "mechanical", "positivistic", "anti-individualistic", "anti-voluntaristic", and "de-humanizing" by the sheer nature of its intrinsic theoretical context. The first manifestations of that branch of criticism would be intellectuals like Lewis Coser,  Ralf Dahrendorf,  David Lockwood,  John Rex,  C. Wright Mills,  Tom Bottomore  and Alvin Gouldner  among other. In a letter to Robert N. Bellah, he wrote, "I am sure you have been greatly intrigued by the involvement of the religious issue in our election." Parsons, who described himself as a "Stevenson Democrat", was especially enthusiastic that his favored politician, Adlai Stevenson II, had been appointed United States Ambassador to the United Nations. Parsons had supported Stevenson in both 1952 and 1956 and was greatly disappointed that Stevenson twice lost heavily both times. In a letter to Bellah of September 30, 1960, Parsons discussed his reading of Perry Miller's An Errand into the Wilderness. Parsons wrote that Miller's discussion of the role of Calvinism "in the early New England theology... is a first rate and fit beautifully with the broad position I have taken." Miller was a literary Harvard historian whose books such as The New England Mind  established new standards for the writing of American cultural and religious history. Miller remained one of Parsons' most favoured historians throughout his life. Indeed, religion had always a special place in Parsons' heart, but his son, in an interview, maintained that he that his father was probably not really "religious." Parsons and Winston White cowrote an article, "The Link Between Character and Society", which was published in 1961. It was a critical discussion of David Riesman's The Lonely Crowd,  which had been published a decade earlier and had turned into an unexpected bestseller, reaching 1 million sold copies in 1977. Riesman was a prominent member of the American academic left, influenced by Erich Fromm and the Frankfurt School. In reality, Riesman's book was an academic attempt to give credit to the concept of "mass society" and especially to the idea of an America suffocated in social conformity. Riesman had essentially argued that at the emerging of highly advanced capitalism, the America basic value system and its socializing roles had change from an "inner-directed" toward an "other-directed" pattern of value-orientation. Parsons and White challenged Riesman's idea and argued that there had been no change away from an inner-directed personality structure. The said that Riesman's "other-directness" looked like a caricature of Charles Cooley's looking-glass self,  and they argued that the framework of "institutional individualism" as the basic code-structure of America's normative system had essentially not changed. What had happen, however, was that the industrialized process and its increased pattern of societal differentiation had changed the family's generalized symbolic function in society and had allowed for a greater permissiveness in the way the child related to his parents. Parsons and White argued that was not the prelude to greater "otherdirectness" but a more complicated way by which inner-directed pattern situated itself in the social environment. Parsons conducted a persistent correspondence with noted scholar Benjamin Nelson,  And he shared a common interest in the rise and the destiny of civilizations until Nelson's death in 1977. The two scholars also shared a common enthusiasm for the work of Weber and would generally agree on the main interpretative approach to the study of Weber. Nelson had participated in the Weber Centennial in Heidelberg. Nelson got into a violent argument with Herbert Marcuse and accused him of tarnishing Weber. In reading the written version of Nelson's contribution to the Weber Centennial, Parsons wrote, "I cannot let the occasion pass without a word of congratulations which is strong enough so that if it were concert I should shout bravo." In several letters, Nelson would keep Parsons informed of the often-turbulent leftist environment of Marcuse. In the letter of September 1967, Nelson would tell Parsons how much he enjoyed reading Parsons' essay on "Kinship and the associational Aspect of Social Structure." Also, one of the scholars on whose work Parsons and Nelson would share internal commentaries was Habermas. Parsons had for years corresponded with his former graduate student David M. Schneider, who had taught at the University of California Berkeley until the latter, in 1960, accepted a position as professor in anthropology at the University of Chicago. Schneider had received his PhD at Harvard in social anthropology in 1949 and had become a leading expert in the American kinship system. Schneider, in 1968, published American Kinship: A Cultural Account  that became a classic within the field, and he had sent Parsons a copy of the copyedited manuscript before its publication. Parsons was highly appreciative of Schneider's work, which became in many ways a crucial turing point in his own attempt to understand the fundamental elements of the American kinship system, a key to understanding the factor of ethnicity and especially building the theoretical foundation of his concept of the societal community, which, by the beginning of the early 1970s, had become a strong priority in the number of theoretical projects of his own intellectual life. Parsons had several conversations with Daniel Bell on a "post-industrial society", some of which were conducted over lunch at William James Hall. After reading an early version of Bell's magnum opus , "The Coming of the Post-Industrial Society", Parsons wrote a letter to Bell, dated November 30, 1971, to offer his criticism. Among his many critical points, Parsons stressed especially that Bell's discussion of technology tended to "separate off culture" and treat the two categories "as what I would call culture minus the cognitive component." Parsons' interest in the role of ethnicity and religion in the genesis of social solidarity within the local community heavily influenced another of his early 1960s graduate students, Edward Laumann. As a student, Laumann was interested in the role of social network structure in shaping community-level solidarity. Combining Parsons' interest in the role of ethnicity in shaping local community solidarity with W. Lloyd Warner's structural approach to social class, Laumann argued that ethnicity, religion, and perceived social class all play a large role in structuring community social networks. Laumann's work found that community networks are highly partitioned along lines of ethnicity, religion, and occupational social status. It also highlighted the tension individuals experience between their preference to associate with people who are like them (homophily) and their simultaneous desire to affiliate with higher-status others. Later, at the beginning of his career at the University of Chicago, Laumann would argue that how the impulses are resolved by individuals forms the basis of corporate or competitive class consciousness within a given community. In addition to demonstrating how community solidarity can be conceptualized as a social network and the role of ethnicity, religion, and class in shaping such networks, Laumann's dissertation became one of the first examples of the use of population-based surveys in the collection of social network data, and thus a precursor to decades of egocentric social network analysis. Parsons thus played an important role in shaping social network analysis's early interest in homophily and the use of egocentric network data to assess group- and community-level social network structures. Parsons began in the fall of 1972 to conduct a seminar on "Law and Sociology" with Lon L. Fuller, who was well known for his The Morality of Law (1964). The seminar and his conversations with Fuller stimulated Parsons to write one of his most influential articles, "Law as an Intellectual Stepchild". Parsons discuses Roberto Mangabeira Unger's Law in Modern Society (1976). Another indication of Parsons' interest in law was reflected in his students, such as John Akula, who wrote his dissertation in sociology, Law and the Development of Citizenship (1973). In September 1972, Parsons participated in a conference in Salzburg on "The Social Consequences of Modernization in Socialist Countries". Among the other participants were Alex Inkeles, Ezra Vogel, and Ralf Dahrendorf. In 1972, Parsons wrote two review articles to discuss the work of Bendix, which provide a clear statement on Parsons' approach to the study of Weber. Bendix had become well known for his interpretations of Weber. In the first review article, Parsons analyzed the immigrant Bendix's Embattled Reason,  and he praised its attempt to defend the basic values of cognitive rationality, which he unconditionally shared, and he agreed with Bendix that the question of cognitive rationality was primarily a cultural issue, not a category that could be reduced from biologial, economic, and social factors. However, Parsons criticized how Bendix had proceeded, who he felt especially had misrepresented the work of Freud and Durkheim. Parsons found that the misrepresentation was how Bendix tended to conceive the question of systematic theorizing, under the concept of "reductionism". Parsons further found that Bendix approach suffered from a "conspicuous hostility" to the idea of evolution. Although Parsons assessed that Weber rejected the linear evolutionary approaches of Marx and Herbert Spencer, Weber may not have rejected the question of evolution as a generalized question. In a second article, a review of Bendix and Guenther Roth's Scholarship and Partisanship: Essays on Max Weber,  Parsons continued his line of criticism. Parsons was especially concerned with a statement by Bendix that claimed Weber believed Marx's notion that ideas were "the epiphenomena of the organization of production." Parsons strongly rejected that interpretation: "I should contend that certainly the intellectual 'mature' Weber never was an 'hypothetical' Marxist." Somewhere behind the attitudes of Bendix, Parsons detected a discomfort for the former to move out of an "idiographic" mode of theorizing. In 1973, Parsons published The American University, which he had authored with Gerald M. Platt. The idea had originally emerged when Martin Meyerson and Stephen Graubard of the American Academy of the Art and Sciences, in 1969, asked Parsons to undertake a monographic study of the American university system. The work on the book went on for years until it was finished in June 1972. One scholar who became important in Parsons' later years was professor Martin U. Martel, of Brown University. They had made contact in the early 1970s at a discussion of an article that Martel had written about Parsons' work. Martel arranged a series of seminars at Brown University in 1973 to 1974, and Parsons spoke about his life and work and answered questions from students and faculty. Among the participants at the seminars were Martel, Robert M. Marsh, Dietrich Rueschemeyer, C. Parker Wolf, Albert F. Wessen, A. Hunter Dupree, Philip L. Quinn, Adrian Hayes and Mark A. Shields. In February to May 1974, Parsons also gave the Culver Lectures at Brown and spoke on "The Evolution of Society". The lectures and were videotaped. Parsons had worked intensively with questions of medical sociology, the medical profession, psychiatry, psychosomatic problems, and the questions of health and illness. Most of all Parsons had become known for his concept of "the Sick role". The last field of social research was an issue that Parsons constantly developed through elaboration and self-criticism. Parsons participated at the World Congress of Sociology in Toronto in August 1974 at which he presented a paper, "The Sick Role Revisited: A Response to Critics and an Updating in Terms of the Theory of Action", which was published under a slightly different title, "The Sick Role and the Role of the Physician Reconsidered", in 1975. In his essay, Parsons highlighted that his concept of "sick role" never was meant to be confined to "deviant behavior", but "its negative valuation should not be forgotten." It was also important to keep a certain focus on the "motivatedness" of illness since there always is a factor of unconscious motivation in the therapeutic aspects of the sick role. In 1975, Bellah published The Broken Covenant. Bellah referred was the sermon delivered by John Winthrop (1587–1649) to his flock on the ship Arbella on the evening of the landing in Massachusetts Bay in 1630. Winthrop declared that the Puritan colonists' emigration to the New World was part of a covenant, a special pact with God, to create a holy community and noted: "For we must consider that we shall be a city on the hill. The eyes of all people are upon us." Parsons disagreed strongly with Bellah's analysis and insisted that the covenant was not broken. Parsons later used much of his influential article, "Law as an Intellectual Stepchild",  to discuss Bellah's position. In 1975, Parsons responded to an article by Jonathan H. Turner, "Parsons as a Symbolic Interactionist: A Comparison of Action and Interaction Theory". Parsons acknowledged that action theory and symbolic interactionism should not be regarded as two separate, antagonistic positions but have overlapping structures of conceptualization. Parsons regarded symbolic interactionism and the theory of George Herbert Mead as valuable contributions to action theory that specify certain aspects of the theory of the personality of the individual. Parsons, however, criticized the symbolic interactionism of Herbert Blumer since Blumer's theory had no end to the openness of action. Parsons regarded Blumer as the mirror image of Claude Lévi-Strauss,  who tended to stress the quasi-determined nature of macro-structural systems. Action theory, Parsons maintained, represented a middle ground between both extremes. In 1978, when James Grier Miller published his famous work Living Systems,  Parsons was approached by Contemporary Sociology to write a review article on Miller's work. Parsons had already complained in a letter to A. Hunter Dupree  that American intellectual life suffered from a deep-seated tradition of empiricism and saw Miller's book the latest confirmation of that tradition. In his review, "Concrete Systems and "Abstracted Systems",  he generally praised the herculean task behind Miller's work but criticized Miller for getting caught in the effort of hierarchize concrete systems but underplay the importance of structural categories in theory building. Parsons also complained about Miller's lack of any clear distinction between cultural and non-cultural systems. On November 17–18, when the Sengari Seminar House was opened, Parsons was invited as the key speaker at the event and gave two lectures, "On the Crisis of Modern Society"  and "Modern Society and Religion". Present were Tominaga, Mutsundo Atarashi, Kazuo Muto, and Hideichiro Nakano. The Structure of Social Action (SSA), Parsons' most famous work, took form piece by piece. Its central figure was Weber, and the other key figures in the discussion were added, little by little, as the central idea took form. One important work that helped Parsons' central argument in was, in 1932, unexpectedly found: Élie Halévy's La formation du radicalisme philosophique (1901–1904); he read the three-volume work in French. Parsons explained, "Well, Halévy was just a different world ... and helped me to really get in to many clarifications of the assumptions distinctive to the main line of British utilitarian thought; assumptions about the 'natural identity of interest', and so on. I still think it is one of the true masterpieces in intellectual history." Parsons first achieved significant recognition with the publication of The Structure of Social Action (1937), his first grand synthesis, combining the ideas of Durkheim, Weber, Pareto, and others. As Parsons developed his theory, it became increasingly bound to the fields of cybernetics and system theory but also to Emerson's concept of homeostasis  and Ernst Mayr's concept of "teleonomic processes". On the metatheoretical level, Parson attempted to balance psychologist phenomenology and idealism on the one hand and pure types of what Parsons called the utilitarian-positivistic complex, on the other hand. Parsons' theory reflects a vision of a unified concept of social science and indeed of living systems  in general. His approach differs in essence from Niklas Luhmann's theory because Parsons rejects the idea that systems can be autopoietic, short of the actual action system of individual actors. Systems have immanent capacities but only as an outcome of the institutionalized processes of action-systems, which, in the final analysis, is the historical effort of individual actors. While Luhmann became caught up in sheer systemic immanence, Parsons insisted that the question of autocatalytic and homeostatic processes and the question about the actor as the ultimate "first mover" on the other hand was not mutually exclusive. Homeostatic processes might be necessary if and when they occur but action is necessitating. The difference between Parsons and Jürgen Habermas lies essentially in how Habermas uses Parsons' theory to establish the basic propositions of his own. Habermas takes the division between Parsons' separation between the "outer" and the "inner" dimensions of the social system and labels them "system" (outer dimension (A-G)) and "lifeworld" (inner dimension (I-L)). The problem with this model from Parsons' point of view is a) that conflict within the social system can in reality emerge from any relational point and not simply from the system-lifeworld dichotomy, and b) by relating the system-lifeworld model to some kind of "liberation"-epic, Habermas produces the Utopian notion that the potentiality of conflict within the social system has some kind of "final solution," which produces a misleading concept of the nature of systemic conflict. It is important to highlight that Parsons distinguished two "meanings" or modes of the term general theory. He sometimes wrote about general theory as aspects of theoretical concerns of social sciences whose focus is on the most "constitutive" elements of cognitive concern for the basic theoretical systematization of a given field. Parsons would include the basic conceptual scheme for the given field, including its highest order of theoretical relations and naturally also the necessary specification of this system's axiomatic, epistemological, and methodological foundations from the point of view of logical implications. All the elements would signify the quest for a general theory on the highest level of theoretical concern. The heuristic scheme that Parsons used to analyze systems and subsystems is called the AGIL paradigm or the AGIL scheme. To survive or maintain equilibrium with respect to its environment, any system must to some degree adapt to that environment (adaptation), attain its goals (goal attainment), integrate its components (integration), and maintain its latent pattern (latency pattern Maintenance), a sort of cultural template. The concepts can be abbreviated as AGIL and are called the system's functional imperatives. It is important to understand that Parsons AGIL model is an analytical scheme for the sake of theoretical "production", but it is not any simple "copy" or any direct historical "summary" of empirical reality. Also, the scheme itself does not explain "anything", just as the periodical table nothing by itself in the natural sciences. The AGIL scheme is a tool for explanations and is no better than the quality of the theories and explanation by which it is processed. Niklas Luhmann was a German sociologist, philosopher of social science, and a prominent thinker in systems theory, who is considered one of the most important social theorists of the 20th century. Alfred Schutz was an Austrian philosopher and social phenomenologist whose work bridged sociological and phenomenological traditions. Schutz is gradually being recognized as one of the twentieth century's leading philosophers of social science. 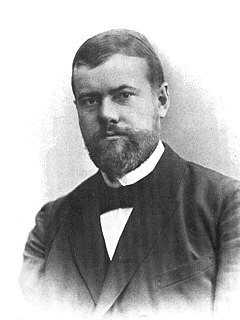 He related Edmund Husserl's work to the social sciences, and influenced Max Weber's legacy of philosophical foundations for sociology and economics through Schutz's major work, Phenomenology of the Social World. In sociology, social complexity is a conceptual framework used in the analysis of society. Contemporary definitions of complexity in the sciences are found in relation to systems theory, in which a phenomenon under study has many parts and many possible arrangements of the relationships between those parts. At the same time, what is complex and what is simple is relative and may change with time. Harold Garfinkel was an American sociologist, ethnomethodologist, and a Professor Emeritus at the University of California, Los Angeles. He is known for establishing and developing ethnomethodology as a field of inquiry in sociology. He is probably best known for his classic book, Studies in Ethnomethodology, which was published in 1967, a collection of articles some of which had previously been published. Selections from unpublished materials were later published in two volumes: Seeing Sociologically and Ethnomethodology's Program. There was also a collection of 'studies of work' by his students which he edited. The AGIL paradigm is a sociological scheme created by American sociologist Talcott Parsons in the 1950s. It is a systematic depiction of certain societal functions, which every society must meet to be able to maintain stable social life. The AGIL paradigm is part of Parsons's larger action theory, outlined in his notable book The Structure of Social Action, in The Social System and in later works, which aims to construct a unified map of all action systems, and ultimately "living systems". Indeed, the actual AGIL system only appeared in its first elaborate form in 1956, and Parsons extended the system in various layers of complexity during the rest of his intellectual life. Towards the end of his life, he added a new dimension to the action system, which he called the paradigm of the human condition; within that paradigm, the action system occupied the integral dimension. Robert Neelly Bellah (1927–2013) was an American sociologist and the Elliott Professor of Sociology at the University of California, Berkeley. He was internationally known for his work related to the sociology of religion. Neil Joseph Smelser was an emeritus professor of sociology at the University of California, Berkeley. He was an active researcher from 1958 to 1994. His research has been on collective behavior, sociological theory, economic sociology, sociology of education, social change, and comparative methods. Among many lifetime achievements, Smelser "laid the foundations for economic sociology." Lawrence Joseph Henderson was a physiologist, chemist, biologist, philosopher, and sociologist. He became one of the leading biochemists of the early 20th century. His work contributed to the Henderson–Hasselbalch equation, used to calculate pH as a measure of acidity. Edward Shils was a Distinguished Service Professor in the Committee on Social Thought and in Sociology at the University of Chicago and an influential sociologist. He was known for his research on the role of intellectuals and their relations to power and public policy. His work was honored in 1983 when he was awarded the Balzan Prize. In 1979, he was selected by the National Council on the Humanities to give the Jefferson Lecture, the highest award given by the U.S. federal government for distinguished intellectual achievement in the humanities. Randall Collins is an American sociologist who has been influential in both his teaching and writing. He has taught in many notable universities around the world and his academic works have been translated into various languages. Collins is currently Emeritus Professor of Sociology at the University of Pennsylvania. He is a leading contemporary social theorist whose areas of expertise include the macro-historical sociology of political and economic change; micro-sociology, including face-to-face interaction; and the sociology of intellectuals and social conflict. He is considered to be one of the leading non-Marxist conflict theorists in the United States, and served as the president of the American Sociological Association from 2010 to 2011. Jesse Richard Pitts (1921–2003), was an American sociologist specializing in deviance and social control, family sociology, sociological theory, French society, and criminology. He is considered one of the leading disciples of Talcott Parsons, dean of American sociologists for much of the 20th century. Pitts is perhaps best known for his contributions to a large textbook on sociology, Theories of Society: Foundations of Modern Sociological Theory, edited by Parsons and published in 1961. He pioneered sociological work on marginality, deviance and conformity. He was interested particularly in criminology and the institutional treatment of mental illness. Raised on both sides of the Atlantic, Pitts felt at home in France as much as in the United States. He created the Franco-American periodical The Tocqueville Review, serving as editor from 1978 to 1991. The Department of Social Relations for Interdisciplinary Social Science Studies, more commonly known as the "Department of Social Relations", was an interdisciplinary collaboration among three of the social science departments at Harvard University beginning in 1946. Originally, the program was headquartered in Emerson Hall at Harvard before moving to William James Hall in 1965. While the name "Social Relations" is often associated with the program's long-time chair and guiding spirit, sociologist Talcott Parsons, many major figures of mid-20th-century social science also numbered among the program's faculty, including psychologists Gordon Allport, Jerome Bruner, Roger Brown, and Henry Murray (personality); anthropologists Clyde and Florence Kluckhohn, John and Beatrice Whiting, Evon Z. Vogt ; and sociologist Alex Inkeles. Many of its graduate students also went on to be major figures in U.S. social sciences during the latter part of the twentieth century; their work tends towards strong interdisciplinary and cross-disciplinary approaches. The following events related to sociology occurred in the 1950s. Jeffrey Charles Alexander is an American sociologist, and one of the world's leading social theorists. He is the founding figure in the contemporary school of cultural sociology referred to as the "strong program". In sociology, action theory is the theory of social action presented by the American theorist Talcott Parsons. Donald Nathan Levine was an American sociologist, educator, social theorist and writer. He was a central figure in Ethiopian Studies. Within sociology, he is perhaps best known for his work in sociological theory and his translations and interpretations of Georg Simmel's classical texts into English, which led to a resurgence of interest in Simmel's work in the discipline. Helmut Staubmann is an Austrian sociologist. He is professor for social theory and cultural sociology at the University of Innsbruck and Dean of the School of Political Science and Sociology of the University of Innsbruck. From 2013 to 2015, he served as President of the Austrian Sociological Association. ↑ Brick, Howard (2006). Transcending Capitalism: Visions of a New Society in Modern American Thought. Ithaca, New York: Cornell University Press. p. 125. ISBN 978-0-8014-2590-5. ↑ Wearne, Bruce C. (1996). "The Amherst Essays: Talcott Parsons's Initial Foray into Sociology". The American Sociologist. 27 (4): 8. ISSN 1936-4784. JSTOR 27698795. ↑ Wearne, Bruce C. (1996). "The Amherst Essays: Talcott Parsons's Initial Foray into Sociology". The American Sociologist. 27 (4): 10. ISSN 1936-4784. JSTOR 27698795. ↑ Bortolini, Matteo (2011). "The 'Bellah Affair' at Princeton: Scholarly Excellence and Academic Freedom in America in the 1970s". The American Sociologist. 42 (1): 6. doi:10.1007/s12108-011-9120-7. ISSN 1936-4784. JSTOR 41485696. ↑ "PRdream Mourns the Passing of Frank Bonilla, 1925–2010". Puerto Rico and the American Dream. December 29, 2010. Retrieved February 14, 2019. ↑ Blad, Cory (2012). "Review of In the Field: A Sociologist's Journey, by Renée C. Fox". Contemporary Sociology. 41 (5): 629–630. ISSN 1939-8638. JSTOR 41722923. ↑ Rawls, Anne Warfield (2002). "Editor's Introduction". Ethnomethodology's Program: Working Out Durkheim's Aphorism. By Garfinkel, Harold. Rawls, Anne Warfield, ed. Lanham, Maryland: Rowman & Littlefield Publishers. p. 4. ISBN 978-0-7425-7898-2. ↑ Hess, David J. (1995). Science and Technology in a Multicultural World: The Cultural Politics of Facts and Artifacts. New York: Columbia University Press. p. 140. ISBN 978-0-231-10197-4. ↑ Apter, Andrew (2014). "Modernization Theory and the Figure of Blindness: Filial Reflections". In Bloom, Peter J.; Miescher, Stephan F.; Manuh, Takyiwaa. Modernization as Spectacle in Africa. Bloomington, Indiana: Indiana University Press. p. 44. ISBN 978-0-253-01233-3. ↑ Lipman-Blumen, Jean (2011). "Toxic Leadership: A Rejoinder". Representation. 47 (3): 334. doi:10.1080/00344893.2011.596444. ISSN 1749-4001. ↑ Lynch, Gordon; Sheldon, Ruth (2013). "The Sociology of the Sacred: A Conversation with Jeffrey Alexander". Culture and Religion. 14 (3): 254. doi:10.1080/14755610.2012.758163. ISSN 1475-5629. ↑ Moore, John H. (2013). "Kluckhohn, Clyde". In McGee, R. Jon; Warms, Richard L. Theory in Social and Cultural Anthropology: An Encyclopedia. Thousand Oaks, California: Sage Reference. p. 438. doi:10.4135/9781452276311. ISBN 978-1-4522-7631-1. 1 2 Rocher, Guy (1974). Talcott Parsons and American Sociology. Translated by Mennell, Barbara; Mennell, Stephen. London: Nelson. p. 154. ISBN 978-0-17-712119-7. ↑ Ingram, David (1987). Habermas and the Dialectic of Reason. New Haven, Connecticut: Yale University Press. p. 135. ISBN 978-0-300-04613-7. ↑ Turner & Holton 2015, pp. 3–6. 1 2 Dillon 2013, pp. 158–159. ↑ Edward S. Parsons, "A Christian Critique of Socialism". Andover Review XI. 1889. pp. 597–611. ↑ Charles Parsons (2004). "Some Remarks on Talcott Parsons's Family". In: Journal The American Sociologist. Vol 35, Nr 3, Sept 2004. pp. 4–22. ↑ Talcott Parsons, "The Theory of Human Behavior in its Individual and Social Aspects." The American Sociologist Vol.27.no.4. Winter 1996. pp.13–23. ↑ Talcott Parsons, "A Behavioristic Concept of the Nature of Morals". The American Sociologist Vol.27.no.4. Winter 1996. pp. 24–37. ↑ Jens Kaalhauge Nielsen, "Beyond the Myth of "Radical Breaks" in Talcott Parsons's Theory: An Analysis of the Amherst Papers." The American Sociologist. Winter 1996. Volume 27. no.4. pp. 48–54. ↑ Alexander Stingl Between Discursivity and Sensus Communis: Kant, Kantianism and the Social Media Theory of Talcott Parsons. Inaugural-Dissertation, Friedrich-Alexander-Universität, edited for publication, OPUS Erlangen-Nürnberg University Press, 2008. ↑ Talcott Parsons, "The Circumstances of My Encounter with Max Weber" in Robert K. Merton & Matilda White Riley (eds.) Sociological Traditions from Generation to Generation. Norwood, NJ. : Ablex, 1980. ↑ Uta Gerhardt, "Much More than a Mere Translation Talcott Parsons' Translation into English of Max Weber's Protestantische Ethik und der Geist der Kapitalismus: An Essay in Intellectual History." The Canadian Journal of Sociology. Vol.32. No.1. Winter 2007. pp. 41–62. ↑ Talcott Parsons, "Review of Max Webers Wissenschaftslehre, by Alexander von Schelting," American Sociological Review vol.1. 1936: 675–81. ↑ Emile Doumerque, Jean Calvin: Les hommes et les choses de son temps, 7 volumes. Lausanne, 1899–1927. ↑ Edward S. Mason, "The Harvard Department of Economics from the Beginning to World War II." Quarterly Journal of Economics 97. 1982. pp. 383–433. ↑ Dillon 2013, p. 157. ↑ Talcott Parsons, "Pareto's Central Analytical Scheme". In Talcott Parsons, The Early Essays Edited C. Camic. Chicago: University of Chicago Press, 1991. ↑ Letter from Talcott Parsons to Susan Kingsbury, April 15, 1933. Talcott Parsons Collection. Harvard University Archives. ↑ See Robert Loring Allen, Opening Doors: The Life and Work of Joseph Schumpeter Vol 2: America. New Brunswick: Transaction Publishers, 1991. p. 98. An edited version of Schumpeter's paper to the seminary was published in Zeitschrift für die gesamte Staatswissenschaft. Vol.140. no.4. December 1984: 577–93. 1 2 Martin U. Martel, Dialogues with Parsons. Transcript, 1975. ↑ Christian Science Monitor, May 25, 1940. ↑ Telephone conversations between William Buxton and Marion Levy, April 14 and May 19, 2000. In William Buxton and William J. Buxton and Lawrence T. Nichols, "Talcott Parsons and the "Far East" at Harvard, 1941-48: Comparative Institutions and National Policy." American Sociologist, Summer 2000. ↑ Letter from Talcott Parsons to Arthur U. Pope, December 1941. Talcott Parsons collection. Harvard University Archives. ↑ Talcott Parsons and Bartholomew Landheer, "Memorandum of a Proposed Sociological Study of Social Consequences of Conquest and Occupation in Certain European Countries." Talcott Parsons Collection. Harvard University Archives. ↑ Uta Gerhardt, Talcott Parsons: An Intellectual Biography. Cambridge University Press, 2002. p. 90. ↑ Alfred Schutz's phenomenology is not a simple "copy" of Husserl but was close: Helmuth R. Wagner, "The Limitation of Phenomenology: Alfred Schutz's critical dialogue with Edmund Husserl." Husserl Studies Vol.1. No.1. December 1984. ↑ Alfred Schutz, Der sinnhafte Aufbau der Sociale Welt: eine Einleitung in die verstehende Soziology. Wien: J. Springer, 1932. The work appeared in English under the title: Alfred Schutz, The Phenomenology of the Social World. Northwestern University Press, 1967. ↑ Richard Grathoff (ed.) The Correspondence between Alfred Schutz and Talcott Parsons: The Theory of Social Action. Bloomington and London: Indiana University Press, 1978 (German version, 1977). ↑ Bennetta Jules-Rosette, "Talcott Parsons and the Phenomenological Tradition in Sociology: An Unresolved Debate." Human Studies, vol.3. 1980. pp. 311–330. ↑ Matthew M. Chew, "The Theoretical Quandary of Subjectivity: An Intellectual Historical Note on the Action Theories of Talcott Parsons and Alfred Schutz." Review of European Studies. Vol.1, No.1, June 2009. ↑ Talcott Parsons, "A 1974 Retrospective Perspective." in Richard Grathoff (ed.) The Correspondence of Alfred Schutz and Talcott Parsons: The Theory of Social Action. Bloomington and London: Indiana University Press, 1978. pp. 115–124. ↑ William J. Buxton and David Rehorick, "The Place of Max Weber in the Post-Structure Writings of Talcott Parsons" in A. Javier Treviño (ed.) Talcott Parsons Today: His Theory and Legacy in Contemporary Sociology. Lanham: Rowman & Littlefield, 2001. ↑ LeQuire, Peter Brickey; Silver, Daniel (2013). "Critical Naïveté? Religion, Science and Action in the Parsons-Voegelin Correspondence". European Journal of Sociology. 54 (2): 265–293. doi:10.1017/S0003975613000143. ↑ Talcott Parsons and Eric Voegelin, "Correspondence, 1940–1944," European Journal of Sociology, 54, no. 2 (2013), pp. e1-e64. An Italian translation of the correspondence was published as an appendix in Emmanuele Morandi, La società accaduta: tracce di una 'nuova' scienza sociale in Eric Voegelin. Milano: FrancoAngeli, 2000. ↑ Talcott Parsons to Eric Voegelin, October 19, 1941. Talcott Parsons collection. Harvard University Archive. ↑ Stuart C. Dodd, Dimensions of Society: A Quantitative Systematics for the Social Sciences. New York: Macmillan, 1942. ↑ Talcott Parsons, "Review of Dimensions of Society: A Quantitative Systematics for the Social Sciences by Stuart Carter Dodd." American Sociological Review Vol.7. No.5. October 1942. pp. 709–714. ↑ Uta Gerhardt, Talcott Parsons: An Intellectual Biography. Cambridge University Press, 2002. p. 110. ↑ Talcott Parsons, "The Problem of Controlled Institutional Change: An Essay in Applied Social Science." Psychiatry. Vol.8. 1945. pp. 79–101. ↑ Uta Gerhardt, "Introduction: Talcott Parsons's Sociology of National Socialism." In Uta Gerhardt, Talcott Parsons on National Socialism. New York: Aldine de Gruyter, 1993. p. 57. ↑ For a further discussion of his influence on the postwar situation and policies on Germany, see Uta Gerhardt, "Talcott Parsons and the Transformation from Totalitarianism to Democracy in the end of World War II." European Sociological Review, Vol.12. 1996. pp.303-325. For further discussion, see Uta Gerhardt, "Talcott Parsons und die Re-Education-Politik der amerikanischen Besatzungsmacht. Schweizerische Zeitschrift für Soziologie, Jg.24. Heft.4. 1998. pp. 121–154. ↑ "Book of Members, 1780–2010: Chapter P" (PDF). American Academy of Arts and Sciences. Retrieved April 22, 2011. ↑ Letter from Talcott Parsons to Dean Paul Buck, April 3, 1944. Talcott Parsons Collection. Harvard University Archives. ↑ Uta Gerhardt, "A World from Brave to New: Talcott Parsons and the War Effort at Harvard University". Journal of the History of the Behavioral Sciences Vol.15 (3), 257–289, Summer 1999. p. 266. ↑ Talcott Parsons, "Social Science: A Basic National Resource". In Samuel Z. Klauser & Victor M. Lidz (eds.) The Nationalization of the Social Sciences. Philadelphia: University of Pennsylvania Press, 1986. ↑ Jens Kaalhauge Nielsen, "The Political Orientation of Talcott Parsons: The Second World War and its Aftermath". In Roland Robertson & Bryan S. Turner (eds.) Talcott Parsons: Theorist of Modernity. London: Sage Publications, 1991. ↑ Catherine Andreyev, Vlasov and the Russian Liberation Movement: Soviet reality and émigré theories. Cambridge: Cambridge University Press, 1987. ↑ Talcott Parsons, "A Tentative Outline of American Values" in Roland Robertson & Bryan S. Turner (eds.) Talcott Parsons: Theorist of Modernity.London: Sage Publication, 1991. "A Tentative Outline of the American Value System" was written in 1959 or 1960 and can be seen as a kind of prelude of Parsons' long-term interest in writing a major work about American society and was an attempt to facilitate the theoretical fundament of the concept of the "societal community," which represented the I-factor (the integrative function) of the social system and the extreme importance in the fact that Parsons regarded it as the epicenter (or the logical "starting-point") of the general process of differentiation in and of society. ↑ Talcott Parsons, "Some Theoretical Considerations on the Nature and Trends of Change of Ethnicity" in Talcott Parsons, Social Systems and the Evolution of Action Theory New York: The Free Press, 1977, originally published 1975, p. 393. ↑ Max Weber, The Protestant Ethics and the Spirit of Capitalism Roxbury Publishing Company, 2002. ↑ Jens Kaalhauge Nielsen, "Are there Cultural Limits to Inclusion? An Analysis of the Relation Between Culture and Social Evolution in Talcott Parsons' Theory." In Gabriele Pollini & Giuseppe Sciortino (eds). Parsons' The Structure of Social Action and Contemporary Debates. Milano, Italy: FrancoAngeli, 2001. ↑ Letter from Talcott Parsons to Eric Voegelin, May 13, 1941. Talcott Parsons collection, Harvard University Archive. ↑ See among others: Talcott Parsons, "Religious and Economic Symbolism in the Western World." Sociological Inquiry. Vol.49. (1) 1979. pp. 1–48. ↑ Talcott Parsons, American Society: A Theory of Societal Community. Paradigm Publishers, 2007. See the chapter on American history. ↑ Alexis de Tocqueville, Democracy in America. New York: Schocken Books, 1961. Originally published in 1835–1840. ↑ Talcott Parsons, "Sociological Reflections on the United States in Relation to the European War" (1941). In Uta Gerhardt (ed.) Talcott Parsons on National Socialism. New York: Aldine de Gruyter, 1993. p. 194. ↑ Talcott Parsons, The Social System. New York: The Free Press, 1951. ↑ Talcott Parsons & Edward Shils (eds.) Toward a General Theory of Action. Cambridge, Mass. : Harvard University Press, 1951. ↑ Talcott Parsons, Robert F. Bales & Edward A. Shils (eds.) Working Papers in The Theory of Action. New York: The Free Press, 1953. ↑ Talcott Parsons & Neil J. Smelser, Economy and Society. London: Routledge & Kegan Paul, 1956. ↑ Talcott Parsons, "The theory of symbolism in relation to action." In Talcott Parsons, Robert F. Bales & Edward A. Shils, Working Papers in the Theory of Action. New York: The Free Press, 1953. ↑ Charles W. Morris, Signs, Language and Behavior. New York: Prentice-Hall, 1946. ↑ Talcott Parsons, "The Superego and the Theory of Social Systems." In Talcott Parsons, Robert F. Bales & Edward A. Shils, Working Papers in the Theory of Action. New York: The Free Press, 1953. ↑ Walter B. Cannon, The Wisdom of the Body. New York: Norton, 1932. ↑ Claude Bernard, An Introduction to the Study of Experimental Medicine. New York: Dover, 1957. First published in French in 1865. ↑ Talcott Parsons, "The Present Status of "Structural-Functional" Theory in Sociology." In Talcott Parsons, Social Systems and the Evolution of Action Theory. New York: The Free Press, 1977. p. 101. ↑ Norbert Wiener, Cybernetics: Or the Control and Communication in Man and the Machine.Cambridge, Mass: MIT Press, 1948. ↑ W.R. Ashby, Design for a Brain. Chapman & Hall, 1952. ↑ Harold A. Abramson (ed.) Problems of Consciousness: Transactions of the Fourth Conference, March 29,30 and 31, 1953, Princeton, NJ. New York: Corlies, Macy & Company, Inc, 1954. ↑ Letter from Samuel Stouffer to Talcott Parsons, February 5, 1954. Talcott Parsons Collection. Harvard University Archives. ↑ Affidavit of February 23, 1954, from Talcott Parsons: Before the Eastern Industrial Personnel Security Board: Matter of Samuel Stouffer". Talcott Parsons Collection. Harvard University Archives. ↑ Talcott Parsons et al., Family, Socialization and Interaction Process. London: Routledge & Kegan Paul, 1956. ↑ James Olds, The Growth and Structure of Motives. Glencoe, Illinois: The Free Press, 1955. ↑ Letter from Talcott Parsons to James Olds of March 21, 1956. Talcott Parsons collection. Harvard University Archives. ↑ Letter from Talcott Parsons to Francois Bourricaud, February 7, 1955. Talcott Parsons Collection. Harvard University Archives. ↑ Keith Doubt, "The Untold Friendship of Kenneth Burke and Talcott Parsons." The Social Science Journal Vol.34. No.4. 1997. pp. 527–537. ↑ Alfred L. Kroeber and Talcott Parsons, "The Concept of Culture and the Social System." American Sociological Review, Vol.23. No.5. 1958. pp. 582–583. ↑ Max Black (ed.) The Social Theories of Talcott Parsons: A Critical Examination. Carbondale and Edwardsville: Southern Illinois University Press, 1961. The original edition was published by Prentice-Hall, Englewood Cliffs, New Jersey, in 1961. ↑ Talcott Parsons, "Pattern Variables Revisited: A Response to Robert Dubin." American Sociological Review, Vol.25. no.4. August 1960. ↑ Theda Skocpol, States and Social Revolution. London: Cambridge University Press, 1979. p.xii. ↑ Jürgen Habermas, "Talcott Parsons: Problems of Theory Construction". Sociological Inquiry. vol.51. no.3-4. 1981. ↑ Lewis Coser, The Function of Social Conflict. New York: The Free Press, 1956. ↑ Ralf Dahrendorf, "Out of Utopia." American Journal of Sociology vol.64. No.2. 1958. pp.115-124. See also Ralf Dahrendorf, Class and Class Conflict in Industrial Society. London: Routledge and Kegan, 1959. (German original, 1957). ↑ David Lockwood,"Some Remarks on the Social System." British Journal of Sociology vol.7. no.2. 1958. pp. 115–124. See also David Lockwood, "Social Integration and System Integration." In G.K. Zollschan & W. Hirsh (ed.) Exploration in Social Change. London: Routledge and Kegan Paul, 1964. ↑ John Rex, Problems in Sociological Theory. London, 1961. ↑ C.W. Mills, The Sociological imagination. London: Oxford University Press, 1976. (originally 1959). ↑ Tom Bottomore, "Out of this world." New York Review of Books November 6, 1969. pp. 34–39. ↑ Alvin Gouldner, The Coming Crisis of Western Sociology. London: Heineman, 1970. ↑ Jens Kaalhauge Nielsen, "The Political Orientation of Talcott Parsons: The Second World War and its Aftermath". In Roland Robertson and Bryan S. Turner (ed.) Talcott Parsons: Theorist of Modernity. London: Sage Publications, 1991. ↑ Letter from Talcott Parsons to Robert N. Bellah, November 25, 1960. Talcott Parsons Collection. Harvard University Archives. ↑ William Buxton, Talcott Parsons and the Capitalist Nation-State. University of Toronto Press, 1985. p. x. ↑ David Easton, "Theoretical Approaches to Political Support." Canadian Journal of Political Science, IX, no.3. September 1976. p. 431. ↑ Letter from Robert N. Bellah to Talcott Parsons, March 23, 1959. Talcott Parsons Collection. Harvard University Archives. ↑ Letter from Talcott Parsons to Robert N. Bellah, August 19, 1960. Talcott Parsons Collection, Harvard University Archives. ↑ Perry Miller, Errand into the Wilderness. Harvard University Press, 1956. ↑ Letter from Talcott Parsons to Robert N. Bellah, September 30, 1960. Talcott Parsons Collection. Harvard University Archives. ↑ Perry Miller, The New England Mind: The Seventeenth Century. Belknap Press of Harvard University Press, 1983. ↑ "Neal, (Sister) Marie Augusta - Dictionary definition of Neal, (Sister) Marie Augusta - Encyclopedia.com: FREE online dictionary". www.encyclopedia.com. ↑ Talcott Parsons and Winston White, "The Link Between Character and Society." In Seymour Martin Lipset and Leo Lowenthal (ed.) Culture and Social Character. New York: The Free Press, 1961. Also reprinted in Talcott Parsons, Social Structure and Personality. New York: The Free Press, 1964. ↑ David Riesman, Nathan Glazer and Reuel Denney, The Lonely Crowd. New Haven: Yale University Press, 1950. ↑ Charles H. Cooley, Human Nature and the Social Order. New York: Scribner's, 1902. pp. 183–184. ↑ Talcott Parsons, "On the Concept of Political Power". Proceedings of the American Philosophical Society 107 (1963). Reprinted in Talcott Parsons, Politics and Social Structure. New York: Free Press, 1969. ↑ Talcott Parsons, "On the Concept of Influence." Public Opinion Quarterly Spring 1963. Reprinted in Talcott Parsons, Sociological Theory and Modern Society. New York: The Free Press, 1967. Also published in Talcott Parsons, Politics and Social Structure. New York: The Free Press, 1969. ↑ Talcott Parsons, "On the Concept of Value-Commitment." Sociological Inquiry 38. No.2. Spring 1968. pp. 135–160. Reprinted in Talcott Parsons, Politics and Social Structure. New York: The Free Press, 1969. ↑ Otto Stammler (ed. ), Max Weber and Sociology Today. New York: Harper & Row, 1971. ↑ Letter from Talcott Parsons to Reinhard Bendix, April 6, 1964. Parsons collection. Harvard University Archives. ↑ Letter from Reinhard Bendix to Talcott Parsons, April 6, 1964. Parsons collection. Harvard University Archives. ↑ For a discussion of Nelson, see Donald A. Nielsen, "Rationalization, Transformations of Consciousness and Intercivilizational Encounters: Reflections on Benjamin Nelson's Sociology of Civilizations." International Sociology, Vol. 16. no. 3. September 2001: 406-420. ↑ For Nelson's written critique of Marcuse, see "Discussion of Industrialization and Capitalism by Herbert Marcuse." In Otto Stammer (ed.) Max Weber and Sociology Today. New York: Harper Torchbooks, 1971. (Originally in German in 1965). ↑ Letter from Talcott Parsons to Benjamin Nelson, February 13, 1967. Talcott Parsons Collection. Harvard University Archives. ↑ Letter from Benjamin Nelson to Talcott Parsons, September 18, 1967. Talcott Parsons Collection. Harvard University Archives. ↑ Letter from Benjamin Nelson to Talcott Parsons, September 15, 1967. Talcott Parsons Collection. Harvard University Archives. ↑ David M. Schneider, American Kinship: A Cultural Account Englewood Cliffs, New Jersey, Prentice-Hall, 1968. ↑ Clifford Geertz, "Religion as a Cultural System" in Clifford Geertz, The Interpretation of Cultures. New York: Basic Books, 1973. pp. 87–125. Originally published in 1966. ↑ Talcott Parsons, "Comment on 'Religion as a Cultural System' by Clifford Geertz". in Donald R. Cutler (ed.) The Religious Situation, 1968. Boston: Beason,1968. ↑ Letter from Talcott Parsons to David Schneider, April 25, 1968. Talcott Parsons collection. Harvard University Archives. ↑ Letter from David M. Schneider to Talcott Parsons, April 28, 1968. Talcott Parsons collection. Harvard University Archives. ↑ Letter from Talcott Parsons to Gene Tanke, the University of California Press, July 25, 1968. Talcott Parsons Collection. Harvard University Archives. ↑ Talcott Parsons, "The Sociology of Knowledge and the History of Ideas". In Helmut Staubmann (ed. )Action Theory: Methodological Studies. LIT Verlag, Wien, 2006. ↑ Karl Mannheim, Ideology and Utopia. New York: Harcourt, Brace, 1936 . ↑ Victor Lidz, "Talcott Parsons' "Sociology of Knowledge: Introductory Comments". In Helmut Staubmann (ed.) Action Theory: Methodological Studies. LIT verlag, Wien 2006. ↑ Edward O. Laumann. (1965). "Subjective Social Distance and Urban Occupational Stratification". American Journal of Sociology, 71:26-36. ↑ Edward O Laumann. (1973). Bonds of Pluralism: The Form and Substance of Urban Social Networks. New York: Wiley Interscience. ↑ Edward O. Laumann, Richard Senter. (1976). "Subjective Social Distance, Occupational Stratification, and Forms of Status and Class Consciousness: A Cross-national Replication and Extension". American Journal of Sociology 81:1304–1338. ↑ Laumann, Edward O. (2006). "A 45-Year Retrospective on Doing Networks". Connections 27:65-90. ↑ Freeman, Linton C. The Development of Social Network Analysis. Vancouver: Empirical Press, 2004. ↑ Talcott Parsons, "Law as an Intellectual Stepchild" Sociological Inquiry Vol.47. Nos 3-4, 1977. ↑ Reinhard Bendix, Embattled Reason: Essays on Social Knowledge. New York: Oxford University Press, 1970. ↑ Talcott Parsons, Review essay: Embattled Reason: Essays on Social Knowledge, by Reinhard Bendix. The American Journal of Sociology. Vol.77. no.4. January 1972. pp. 766-768. ↑ Reinhard Bendix and Guenther Roth, Scholarship and Partisanship: Essays on Max Weber. University of California Press, 1970. ↑ Talcott Parsons, "Review of Scholarship and Partisanship: Essays on Max Weber, by Reinhard Bendix and Guenther Roth". Contemporary Sociology, Vol.1.no.3. May 1972. pp. 200–203. ↑ Talcott Parsons and Gerald M. Platt, The American University. Cambridge: Harvard University Press, 1973. ↑ Martin U. Martel, "Academentia Praecox: The Scope of Parsons' Multi-systemic Language Rebellion". In Herman Turk and Richard L. Simpson (eds.) Institutions and Social Exchange: The Sociologies of Talcott Parsons and George C. Homans. Indianapolis: Bobbs-Merrill, 1971. pp. 175–211. ↑ A Seminar with Talcott Parsons at Brown University: "My Life and Work", March 10, 1973. In Laurence S. Moss and Andrew Savchenko (ed.) Talcott Parsons: Economic Sociologist of the 20th Century. Blackwell, 2006. ↑ Talcott Parsons, "A Paradigm of the Human Condition" in Talcott Parsons, Action Theory and the Human Condition. New York: Free Press, 1978. ↑ Talcott Parsons, "Action, Symbols and Cybernetic Control". in Ino Rossi (ed.) Structural Sociology. New York: Columbia University Press, 1982. ↑ Letter from Talcott Parsons to Adrian Hayes, March 20, 1979. Talcott Parsons Collection. Harvard University Archives. ↑ Letter from Adrian Hayes to Talcott Parsons, March 28, 1975. Talcott Parsons Collection. Harvard University Archives. ↑ Talcott Parsons, "The Sick Role and the Role of the Physician Reconsidered". Millbank Memorial Fund Quarterly vol.53.no.3. Summer 1975. pp. 257–278. ↑ Robert N. Bellah, The Broken Covenant: American Civil Religion in Time of Trial. New York: Seabury Press, 1975. ↑ Jonathan Turner, "Parsons as a symbolic interactionist: A Comparison of Action and Interaction theory". Sociological Inquiry Vol.44. no.4. 1974. ↑ Talcott Parsons, "Comment on 'Parsons as a Symbolic Interactionist' by Jonathan Turner.Sociological Inquiry. Vol.45. no.1. 1975. pp. 62–65. ↑ Claude Lévi-Strauss, Structural Anthropology, Garden City, New York, 1963. ↑ Talcott Parsons, "A Few Considerations on the Place of Rationality in Modern Culture and Society". Revue européenne des sciences sociales. Tome XIV, No.38-39, 1976. ↑ James Grier Miller, Living Systems. New York: McGraw-Hill, 1978. ↑ Letter from Talcott Parsons to A. Hunter Dupree, January 10, 1979. Talcott Parsons Collection. Harvard University Archives. ↑ Talcott Parsons, "Review Essay: Concrete Systems and Abstracted Systems". Contemporary Sociology Vol.8, No.5, 1979. pp. 696–705. ↑ William J. Buxton, "Talcott Parsons and Japan in the 1970s". The American Sociologist Summer 2000. ↑ Talcott Parsons, "Some Reflections on Post-Industrial Society". The Japanese Sociological Review. 24, 2. September 1973. pp.103-109. ↑ Talcott Parsons, "The Problem of Balancing Rational Efficiency with Communal Solidarity in Modern Society" in International Symposium on New Problems of Advanced Society. Tokyo: Japan Economic Research Institute, 1973. pp. 9–14. ↑ Talcott Parsons, "Nature and Extent of Changes in Value Systems of Modern Societies." International Symposium on New Problems of Advanced Society. Tokyo: Japan Economic Research Institute, 1973. pp. 137–142. ↑ Ken'ichi Tominaga, "Growth, Development, and Structural Change of the Social System." in Jan J. Loubser, Rainer V. Baum, Andrew Effrat and Victor M. Lidz (eds.) Explorations in General Theory in Social Science: Essays in Honor of Talcott Parsons. Vol.2. New York: The Free Press, 1976. ↑ Talcott Parsons, "On the Crisis of Modern Society". Transcript of the public lecture given a Sengari House, Kwansei Gakuin University, November 17, 1978. Copy in Talcott Parsons collection, Harvard University Archives. ↑ Talcott Parsons, "Modern Society and Religion". Transcript of the public lecture given a Sengari House, Kwansei Gakuin University, November 18, 1978. Copy in Talcott Parsons collection, Harvard University Archives. ↑ Talcott Parsons, "An Approach to the Theory of Organizations" Organizational Science. Vol.13. no.1. April 1979. ↑ Talcott Parsons, "Enter the New Society: The Problem of the Relationship of Work and Leisure in Relation to Economic and Cultural Values". Transcript of the public lecture given at the Tsukuba Conference, Tsukuba University, December 1, 1978. Copy in Talcott Parsons collection. Harvard University Archives. ↑ Talcott Parsons, "A Sociologist Looks at Contemporary U.S. Society". Transcript of the lecture given at the Kyoto University, December 5, 1978. Copy in Talcott Parsons collection. Harvard University Archives. ↑ Talcott Parsons, The Structure of Social Action. New York: McGraw-Hill, 1937. ↑ Rainer C. Baum and Victor Lidz, "Introduction to Meta-Theory" in Jan J. Loubser et al. (eds.) Explorations in General Theory in Social Science: Essays in Honor of Talcott Parsons. Volume One. New York: The Free Press, 1976. p. 27. ↑ Talcott Parsons, "On Building Social System Theory: A Personal History" in Talcott Parsons, Social Systems and the Evolution of Action Theory. New York: The Free Press, 1977. p. 27. ↑ For the complex relationship between Parsons' action theory and Whitehead's philosophy, see Thomas J. Fararo, "On the Foundations of the Theory of Action in Whitehead and Parsons" in Jan J. Loubser et al. (ed.) Explorations in General Theory in Social Science. New York: The Free Press, 1976. Chapter 5. ↑ Hans Vaihiger, The Philosophy of "As If". trans. C.K. Cohen. New York: Barnes & Noble, 1952. ↑ Talcott Parsons, "On Theory and Metatheory". Humboldt Journal of Social Relations. 7:1 - Fall/Winter 1979–1980. p. 52. ↑ A good summary of the "action frame of reference" as it developed over time is found in Leonard Mayhew's introduction to his anthology of Parsons' major essays, Mayhew, Leonard (1982) "Introduction" in Talcott Parsons, Talcott Parsons on institutions and social evolution, pp: 1–62. Chicago: University of Chicago Press. ↑ Alfred E. Emerson, "Homeostasis and comparison of systems" in Roy R. Grinker (ed.) Toward a Unified Theory of Human Behavior: An Introduction to General Systems Theory.New York: Basic Books, 1956. ↑ Talcott Parsons, "Action, Symbol, and Cybernetic Control." In Ino Rossi (ed.) Structural Sociology New York: Columbia University Press, 1982. p. 53. ↑ Roland Robertson, "The Central Significance of 'religion' in Social Theory: Parsons as an epical theorist." In Roland Robertson and Bryan S. Turner (ed.) Talcott Parsons: Theorist of Modernity London: Sage Publications, 1991. ↑ Victor Lidz, "Religion and Cybernetic Concepts in the Theory of Action." Sociological Analysis. vol.43.no.4.1982. pp. 287–306. ↑ Parsons discussed the concept of living systems many times in later life both in publications as well in his correspondence with Dupree, Lidz, Martel, and others. An important discussion of living system is in "Concrete Systems and Abstracted" Systems: Review article of Living Systems by James Grier Miller". Contemporary Sociology Vol.8. no.5. Sep. 1979. pp. 696–705. ↑ The complete structure of Parsons AGIL system was scattered around in dozens of his works and not presented in any handy form. However, the most elementary key elements was presented in chapter 2 in Talcott Parsons and Gerald M. Platt, The American University Cambridge, MA: Harvard University Press, 1973. To understand the AGIL system, one needs to understand that it functions (in a sense) on three major levels: the highest level is the paradigm of the human condition, the next mediative level is what he calls the general action-system and the third level is the social system. (All three levels are active in any empirical social object at any time). Another important point is that Parsons, in a sense, operates with two cultural systems: there is the cultural system of the general action level and the so-called fiduciary system as the L-function of the social system. Common sense associates both systems with the idea of "culture." However, Parsons' separation of "culture" into the two distinct levels of conceptual analysis is fundamental. ↑ Helmuth Staubmann, "Culture as a Subsystem of Action: Talcott Parsons and Cultural Sociology." Presented at the annual meeting of the American Sociological Association, Atlanta, 2003. ↑ Talcott Parsons, Societies: Evolutionary and Comparative Perspectives. Prentice-Hall, Inc., Englewood Cliffs, New Jersey, 1966. ↑ Jürgen Habermas, The Theory of Communicative Action Volume 2. Lifeworld and System: A Critique of Functionalist Reason. Boston: Beacon, 1987. (Original, Suhrkamp Verlag, Frankfurt am Main, 1981). ↑ The issues were generally those that Parsons discussed in his first major work: Talcott Parsons, The Structure of Social Action. New York: McGraw-Hill, 1937. ↑ Talcott Parsons, "The Prospects of Sociological Theory". (1948). In Talcott Parsons, Essays in Sociological Theory. New York: The Free Press, 1954. ↑ For one discussion of his efforts, see Jan J. Loubser, "General Introduction" in Jan Loubser et al. (eds.) Explorations in General Theory in the Social Science: Essays in Honor of Talcott Parsons. New York: The Free Press, 1976. ↑ Turner & Holton 2015, p. 3-6.